Reassurance shield after the 250 split. 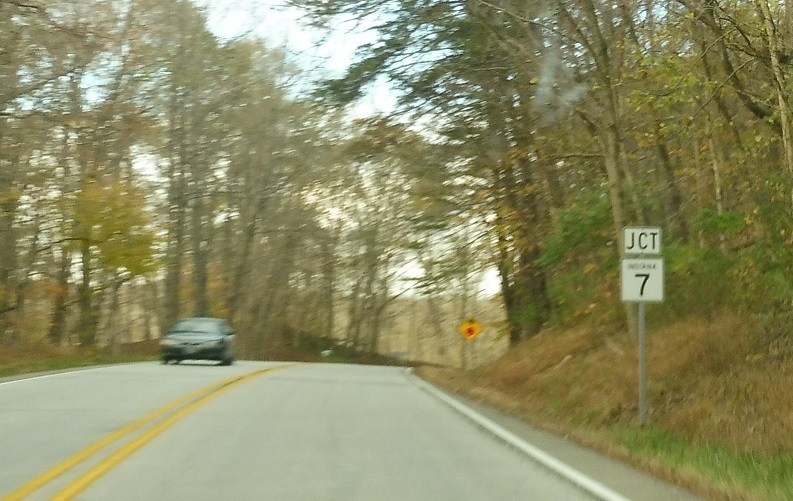 A few miles later, we’ll approach SR 7. 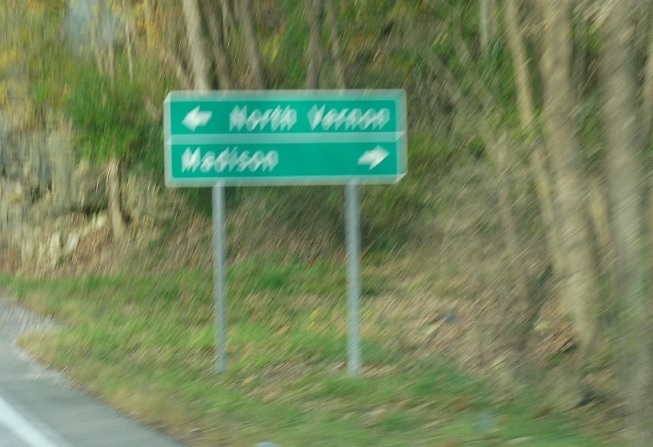 Follow SR 7 south to Madison and SR 3 north to North Vernon. 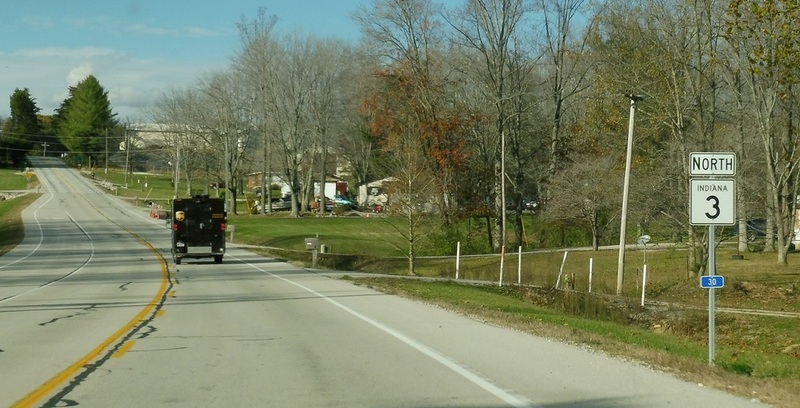 Fork right here to stay on SR 3 and approach SR 7. This is oddly signed since the SR 7 junction is about 100 feet in front of us. 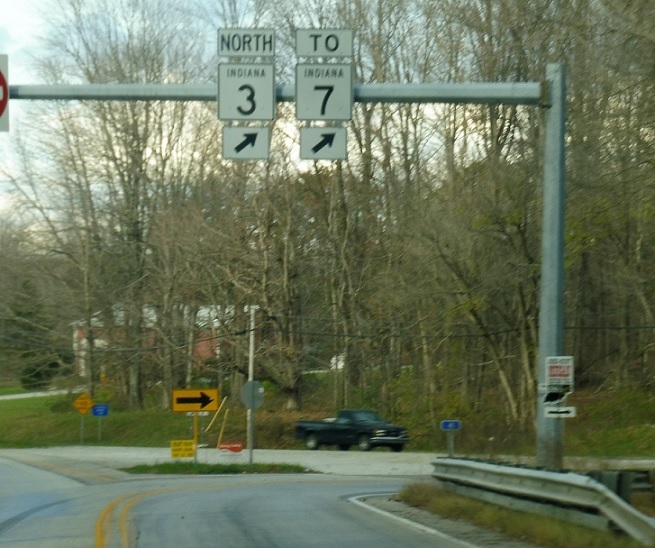 Turn left for 3/7 north, which run concurrent through North Vernon. 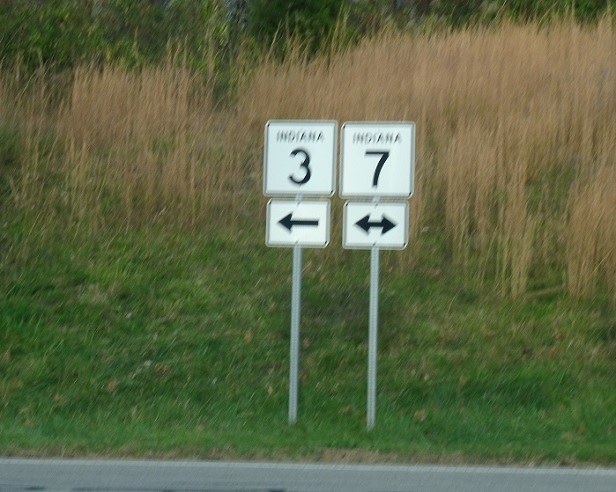 Turn right for 7 south.